We liked all! The hotel is beautiful and the view is breathtaking, the location is very quiet and with really good restaurants at walking distance, the staff was super friendly mainly Rosa. The room was incredible! With an small private pool with the best views we could ask for, the breakfast in the own balcony was delicious! Really a great experience in Santorini. We had an amazing stay! The views are out of this world, the daily breakfast on your own patio is amazing, the staff was wonderful, and we wouldn’t change a thing! The property views can not be beat. You can go to a crowded location for sunset, or you can sit on your balcony and enjoy. Breakfast was delicious- and eating on your balcony makes it even better! The rooms are beautiful and well-kept. We appreciated the dressing area and amenities that made the room feel larger. The staff was incredibly helpful as we planned activities and moved about the island. Staff was really helpful and always willing to help. Pictures reflected exactly what the room is. Bathroom is very clean. Breakfast was very good, with variety and served on the balcony. 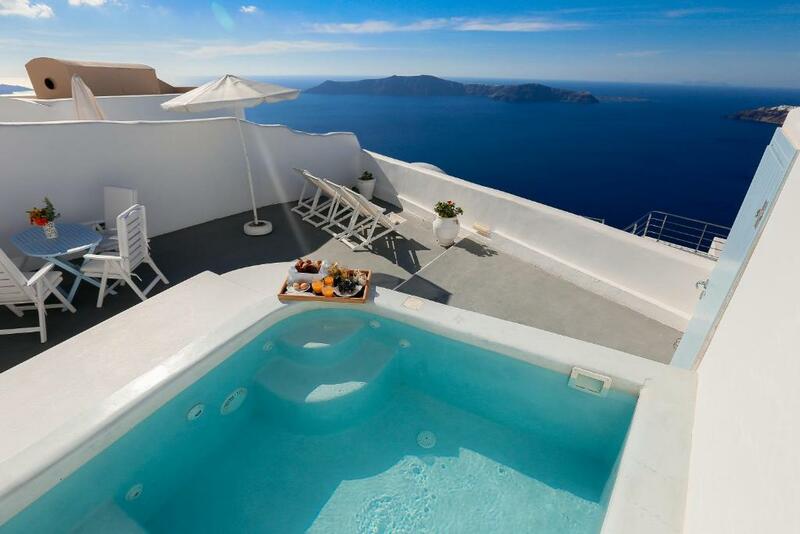 View could not be better - not needed to go to Oia - enjoying from pool. Overall, stay was brilliant. At Ilioperato, our room was very private, with its own pool and private balcony. We were thrilled with our selection. Clean and believe it or not felt spacious. The views were outstanding! We enjoyed walking around the area and felt safe. Breakfast was included and that is a must; breakfast being served on our private balcony was a wonderful experience. The breakfast selection was perfect, as well delicious. The hotel staff where very friendly and informative, and spoke English very well. Additionally, we rented a vehicle and toured the entire island, I'm so glad we did! The red beach and the organized black beach are fun to visit. 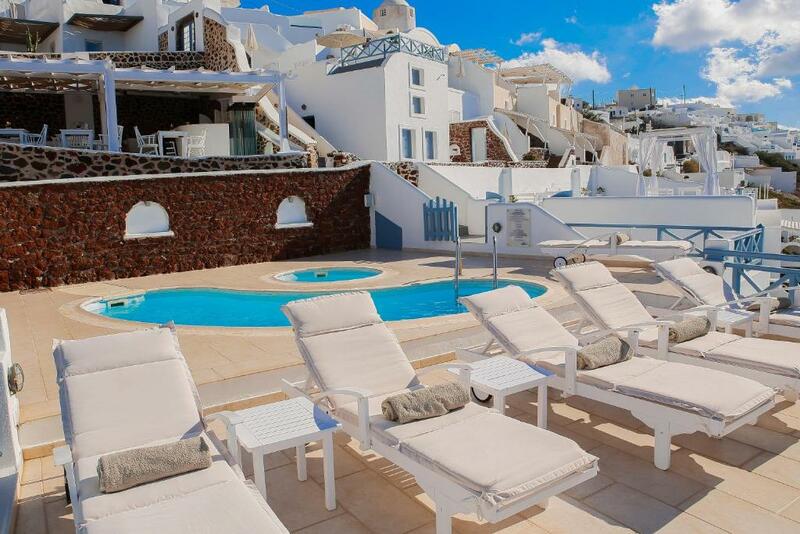 This is our first trip to Greece and we will definitely return to this hotel. Fantastic views from Ilioperato, definitely worth it! View, location. Breakfast was well made and loved the Greek yogurt. We really liked the location. The view is stunning and the breakfast is wonderful. The hotel is beautiful and clean. We also like the staff there and they are very friendly and helpful especially Roza. One unforgettable experience is that my daughter left her Kindle in the hotel and Roza made special arrangements to have a driver send it all the way to airport for us immediately. We are extremely thankful for her help. The room was spacious, hot tub on private terrace was great. Fantastic sunsets. Beautiful place to stay. Lock in a great price for Ilioperato – rated 9.4 by recent guests! 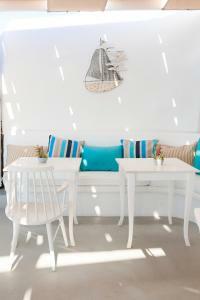 One of our best sellers in Imerovigli! Situated at the edge of peaceful Imerovigli, Ilioperato offers magnificent views of Santorini’s caldera from its lovely sun terrace and provides a variety of charming rooms and apartments with modern amenities. Ilioperato overlooks Santorini’s stunning caldera, making it an ideal place for admiring the beautiful sunsets. 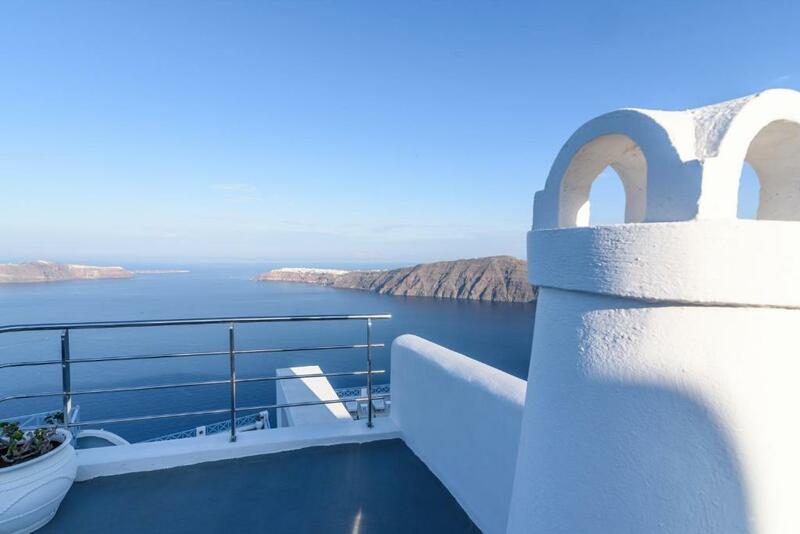 Its prime location allows you to enjoy the peace and beauty of this magical island, whilst being just 0.9 miles from the crowds and nightlife of Fira. All accommodation types offer traditional features, including white-washed stone walls and arched entryways. You can also enjoy modern amenities such as free wireless internet access and air conditioning. Guests can start their day with the daily-served breakfast. 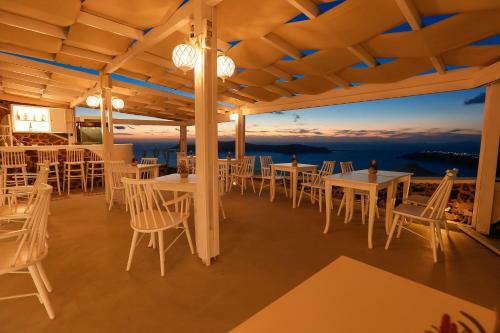 Ilioperato’s picturesque terrace is the perfect place to sip coffee in the morning as the sun goes up and wine in the evening as the sun sets. Cool down in the cute swimming pool and admire your stunning scenery. Your charming surroundings and beautiful views are complimented by great service at this family-run hotel. When would you like to stay at Ilioperato? An open-plan room with a double bed and a sofa-bed, bathroom with shower and your own balcony overlooking Caldera and the sunset. It can accommodate up to 3 guests. An open-plan room with a double bed. The bathroom features a bath with hydro massage facilities. 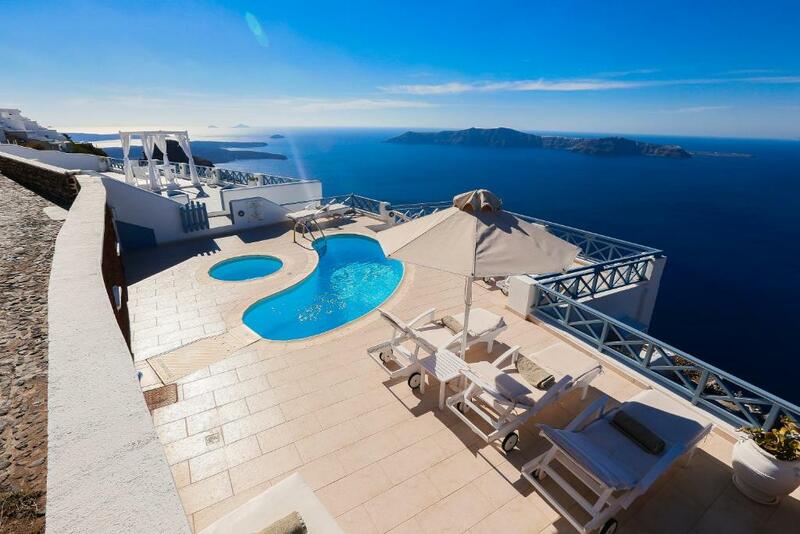 Enjoy Caldera and sunset views from your private balcony. It cannot accommodate extra guests. This cave-apartment includes a bedroom with a double bed and an private bathroom, a loft-style room and a sitting area with a second bathroom. 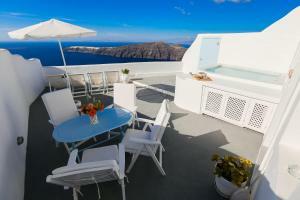 It also has access to a shared terrace overlooking the caldera and the sunset. Two spaces room boasting a bedroom with double bed, a sitting area and bathroom. 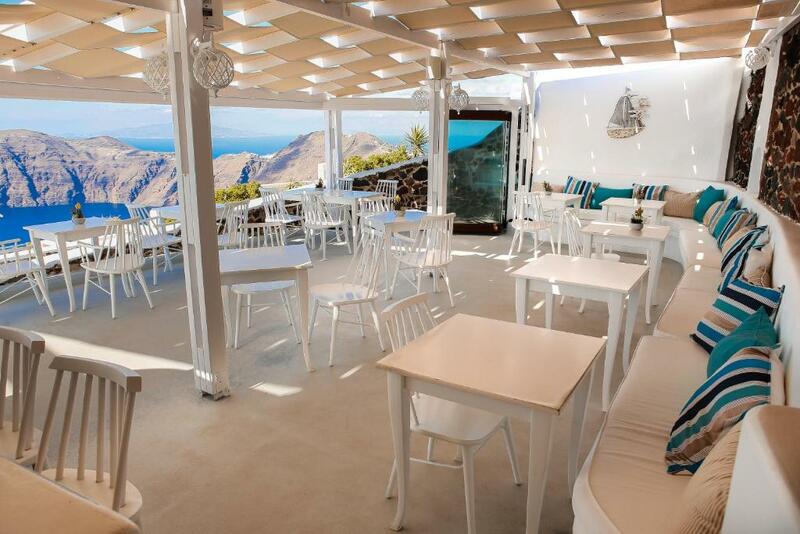 It provides access to a shared terrace overlooking Caldera and sunset views. Please note that the view to Caldera is only from the shared terrace and not from the room. - a loft-style twin bedroom. Opening to a private balcony with unobstructed Caldera and sunset views, this open plan room features a bathroom stocked with a rain shower. This apartment features a cave-style bedroom with a double bed and private bathroom, a seating area with sofa bed, and a 2nd bathroom. It opens to a shared, furnished terrace. House Rules Ilioperato takes special requests – add in the next step! Ilioperato accepts these cards and reserves the right to temporarily hold an amount prior to arrival. Kindly note that the swimming pool and the bar operate from April to October. Please inform Ilioperato of your expected arrival time in advance. You can use the Special Requests box when booking, or contact the property directly using the contact details in your confirmation. We loved the location, the room service food, the service level from staff, everything. It was a great stay for 10 days. The material of the quilt and bed sheets are a bit hard, which made us feel cold at night. But the staff offered us more blankets then. 1. Could see very beautiful sea view from the balcony while having breakfast. 2. Could take great photos on the hotel's decorated public area with the sea view. 3. The staff of this hotel are very nice and friendly. They treated guests with really excellent service attitude! Thank you Roza & Ares who helped us whenever we needed! No matter at the reception or carrying our luggage or serving the breakfast every morning...all you did made us feel warm. Great location away from other crowded places friendly staff always there to help. Sunset views simply, superb. The rooms are so small and toilet smelt funky. The room and especially the toilet did not have much ventilation therefore it was stuffy 24/7. Perfect location away from the tourists. Had a private section with room 'Ostria'. Complete private balcony overlooking the beautiful Caldera. Breakfast served on balcony also! Will definitely return and can really recommend for the perfect couple getaway. We left the hotel very early in the morning and they prepared a Breakfast to go, which was much appreciated. But really the Breakfast to go was very poor, just a sandwich with only one slice of ham and cheese, an orange and a juice. Breakfast other days was really good but for a breakfast to go they could improve it. The bathroom's ventilation leaves something to be desired, but I imagine that's a product of the cave-style more than anything else. The linens and towels also weren't the softest, but that didn't detract from our enjoyment in the least. Hot tip: if the exit light keeps you up, we stuffed a scarf in the shower cap and it fit over to cover it. Firstly how well Joanna, Rosa and Irene made us feel always welcoming and confortable and we really appreciate it! The location of the hotel super confortable, amazing views and the food was really good. We can not wait to book again to stay at Ilioperato. The breakfast was touch and go, most days something was missing, very basic, but high on quality . We stayed in the deluxe apartment. The staff of the hotel is perfect! So kind, available,... The view on the caldeira from our private veranda was amazing! Drinking a glass of wine during the sunset in our hot tub was our best moment. The staff let us using the swimming pool the day we left 😊! Just the paradise !! Thanks !!! We hope we’ll come back!